Jalgpalliklubi Tabasalu (Football Club Tabasalu in English ) located just a few kilometers away from Capital of Estonia, Tallinn, to the west, is established 23rd of November, 2012. Tabasalu is a centre of Harku Parish, with total number of inhabitants around 15000 people. We are definitely the biggest sports club in Harku Parish. Today 12 ( 6 of them have minimum UEFA B-licence) coaches are working with our kids, 3 Board Members doing their work free of charge and elected Council by General Meeting controlling their work. The Club is owned and controlled by more than 100 (2018) parents of our players. Every year we are organizing number of different events (Spring Party, Open Day, football camps ) and tournaments on domestic and international level. 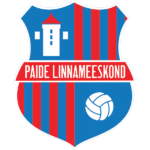 Our young players are regularly called up to Estonian Youth National teams. Our mission is unite the people of Harku parish and Tabasalu by football offering them a high level entertainment and community feeling. Our club has hosted clubs from Finland, Sweden, Russia and Latvia and we are always open for cooperation. 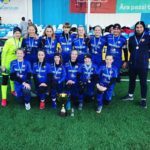 Esimene grupimängu võitja on selgunud! 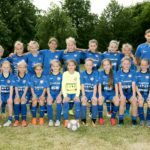 Meie U15 tüdrukud on Tammeka Juunior Cupi võitjad!